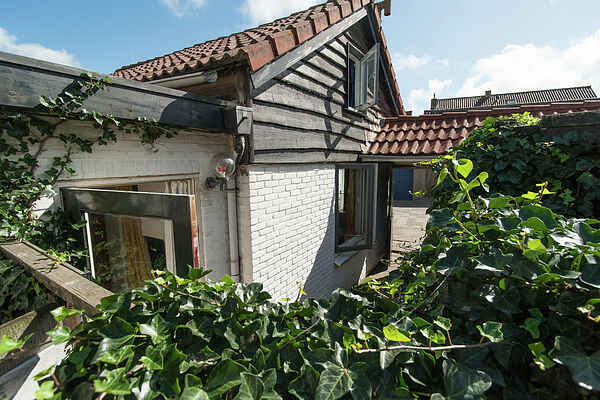 You will find this holiday home in the popular seaside resort of Egmond aan Zee. Inside you can enjoy all the space and outside enjoy the cosy patio (nice on sultry summer evenings!). Your holiday home is at a perfect location; the lively city centre and the beach can be reached by foot in no time. Egmond aan Zee feels like coming home, as if the lighthouse is giving you a friendly wink. Lucky: this ideal holiday home looks out over the Jan van Speijk lighthouse, one of the oldest working lighthouses in the Netherlands. The base of the lighthouse forms a tombstone in memory of Jan van Speijk. With a heroic deed, in 1831 he avoided his ship having to surrender: better to go up in the air! A tip: climb the lighthouse, taste the salty sea air and feel the wind in your hair. Egmond aan Zee has everything for a sunny holiday. You will find numerous shops, restaurants and relaxing terraces, just waiting to be discovered. Most amenities are within walking or cycling distance. The dune area is also an inviting place to visit. You can take a relaxing walk there from the village centre. The North Holland Dune Reserve, the largest natural area in our country, is great for walking and cycling.